Fall is known as a time of color, crisp air, and the start of another school year. Another sure sign of fall is all the apples that start appearing on the ground. Fall is certainly apple season, and luckily there is a lot you and the kids can do with apples besides eat them. Here are a few ideas. You can make a fun seasonal garland using dried slices of apple. First make ⅛” thick slices, and soak them in a mixture of lemon juice and salt. After 20 minutes, the apple slices will be preserved from the lemon juice and salt and won’t turn brown. Dry them, and sprinkle cinnamon on them. You can then bake them for 6 hours at 150 degrees. Once they are baked and feel leathery, you can string them together with fabric or ribbon. To make this look even more seasonal, use ribbons that have fall colors, and tie it up in a great big bow. You can also add in collected leaves to make it even prettier. Of course, apples are great tasting when you take one out of the bunch and bite into it. But there is a lot more you can do with them to have not just seasonal treats, but delicious ones as well. If you melt 25 caramel pieces with a tablespoon of water, you can make a tasty snack. Slice some apples and drop them in the melted caramel. Then, pour in some chopped peanuts. Let them cool, and you have some yummy and sweet caramel apple slices. Another option is homemade applesauce. Cut 4 apples in quarters, and put them in a pot. Bring them to boil in about a cup of water. Once they’ve reached boiling, let them simmer until the apples turn tender. Toss in ¼ cup brown sugar, a tablespoon of butter, ⅛ of a teaspoon of nutmeg, and ¼ teaspoon of cinnamon. Heat it all up and mash it. Let it cool, and you have yourself some amazing brown sugar. There are lots of games that you can play with apples as well, such as bobbing for apples, biting an apple on a string, and having an apple pushing relay race. 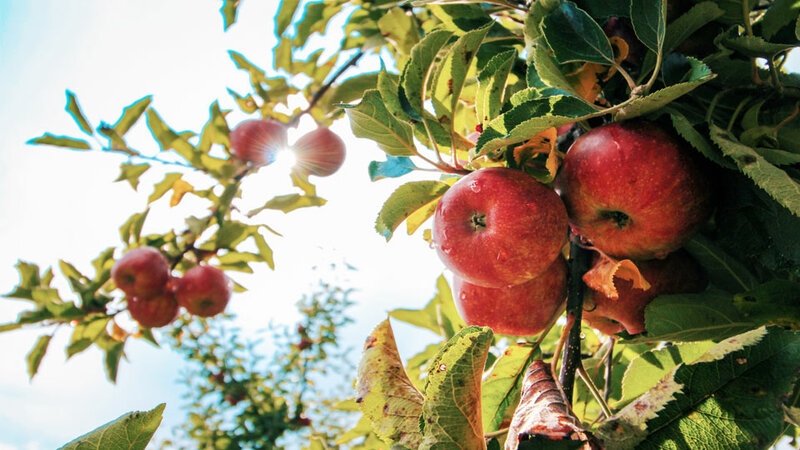 When it comes to the fall favorite apple, there is so much you can do with kids to have fun and learn, too.